The agency hired a specialist to develop viruses known as Trojans, after the Greek legend. One of those targeted was shoe tycoon Tamara Mellon, although her ex-husband Matthew was acquitted on Wednesday of any involvement in the scam. The Trojan is one of the most popular criminal ruses used by criminals and hackers. They rely on people clicking on an e-mail (or more likely the attachment on an e-mail), which triggers the virus. They arrive in e-mails which purport to be seemingly harmless fun - such as an image of a film star. The user accesses in them in good faith only to find they have been corrupted. Graham Cluley, senior technology expert at internet security specialists Sophos, said there was huge growth in Trojans, with 8,000 new variants found every month. He said: "Trojans take over your computer in order to spy on it. "Once installed, they can see everything you type, access all your files and see what's on your screen. They can then send all of that data back to the hacker who might be sitting next to you or on the other side of the world." Many Trojans are used to gain access to bank details, gathering usernames and passwords to exploit. 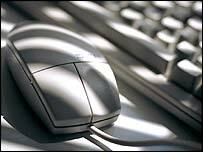 Mr Cluley said: "They act invisibly and install themselves silently onto your computer. Hackers can target one person or they can send out an e-mail with a picture of Britney Spears or Paris Hilton and rely on the fact that a percentage of people will open it and get infected." Some Trojans are actually available to buy legitimately online. Mr Cluley said: "They're marketed as 'Do you want to know what your children are up to online?' but then they can be used for other purposes. "Effectively the hacker is looking over your shoulder at everything you do, but crucially without needing physical access to you. "There are huge financial implications, but also personal safety and security ones. It's a huge growth area for cyber-criminals, but also jealous exes and stalkers." Sometimes people are even being blackmailed by hackers who threaten to reveal details from personal e-mails. Last year the BBC reported how a 40-year-old nurse from Rochdale, Helen Barrow, had become one of the first victims of the con in the UK. So can anything be done to avoid Trojans, especially as they are so easy for hackers to create and spread? "If you keep your anti-virus software and spyware patches up to date and are very careful about where you go online you should be OK," Mr Cluley said. "Unfortunately most people don't even do the first of those. If they did they could eliminate a lot of the risk," he added.